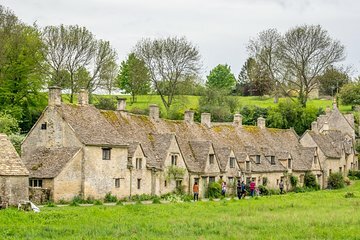 A cidade universitária de Oxford e a paisagem idílica de The Cotswolds são dois dos passeios de um dia mais populares de Londres, mas visitar em um grande passeio em grupo pode significar menos tempo para explorar. 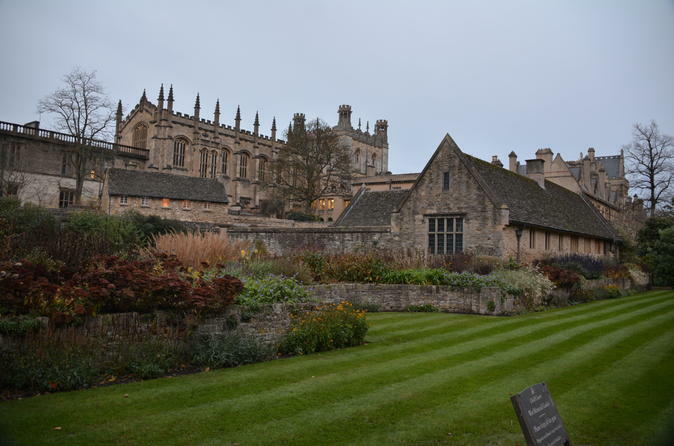 Este tour de um pequeno grupo de dia inteiro garante uma experiência personalizada, com tempo livre para admirar marcos históricos de Oxford como a Ponte dos Suspiros, a Catedral de Christchurch e o Museu Ashmolean, e visitar as aldeias de Bampton, Burford e Bilbury. Our guide, Nick, did a wonderful job of telling stories of British history and what to expect at each location we stopped at. We went to Oxford first, and had around 2-2.5 hours free time to explore. Nick recommended that we eat lunch in Oxford, which we did. We walked all around the town, climbed the Carfax tower (for 5 pounds) and got to look inside one of the university colleges. Next, we went to Bampton and saw the church from filming in Downton Abbey, for around 20 minutes. We don't watch the series, so we didn't particularly care about this, but it was still cool to see. My favorite town in the Cotswolds was Bibury. I wish we could've stayed there longer! We had around 30 minutes to explore, during which we had cream tea at the Trout farm cafe (so much cheaper than tea options in downtown London) and took lots of pictures of the beautiful town. Finally, we went to Burford, and had around an hour to explore there. Burford was full of shops and cafes lining a hill. It was about a 2 hour drive back to London from there. We had an overall great experience! Be aware, that the guide does not take you around the towns that you stop in. We had an assigned meeting time and place, and were set off to explore on our own. We hadn't planned what we wanted to do/see in any of the stops, and it worked out fine. But know that you have to find your way around Oxford on your own. This was a fun day out of London. This tour was run by Rabbits and our driver Dean was very knowledgeable, helpful and amusing. It was great to get out of the city for the day. Loved the small group tour. We did the Cotswolds first and then to Oxford. We had a great day with Nick, he was full of information but knew when to shut up. The weather was perfect and the setting idyll. Small bus was rather crowded. Stops at Cotswold villages were 30-60 minutes only. Time in Oxford did not allow for more than just a walk around town. Better to just visit one village to allow more time for a walkaround.Excellent tour guide who was very knowledgeable. Our tour guide Pete was by far very knowledgeable. He guided and helped us become comfortable. Often he was funnn and made our tour enjoyable. Mu husband and I took some day trips from London. This was a great trip to see some areas outside of the busy city center. It was a great introduction to the Cotswold and Oxford. We plan to go back to see more. John, our guide and driver, was fantastic. He was knowledgeable and was hilarious. What a great tour guide! We also liked the small group aspect. Next time we go to England or Scotland, we will definitely use Rabbies tours again. Our driver and tour guide Pete was amazing! He spoke the entire time during the drive with a microphone, answered questions, and walked with us through the Coswalds and other locations. Jeff was a very knowledgeable driver/guide. He shared very detailed information about each place we visited. We wish we could have stayed longer at each location, but other than that the trip was perfect! Great day spent out of London in picturesque Cotswolds and Oxford. Tour group was small and cosy. Lovely tour guide, Nigel, made us feel welcome and was knowledgeable and helpful. Tour gave great value. Highly recommended.